Ahh, the fresh spring air and your whole life in front of you. 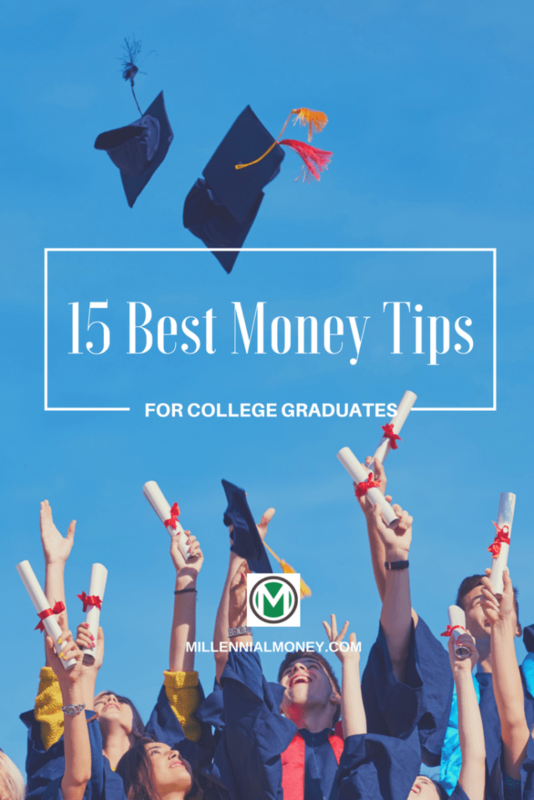 If you are just graduating from college, you have insane advantages when it comes to money. 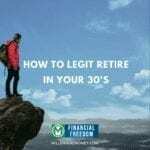 Whether you want to start your financial independence journey, get your dream job, or simply make more money, there are actually good ideas for anyone at any age. But if you’re under 25 you have the greatest money advantage of all – time. And don’t be too hard on yourself or get discouraged. Life teaches you how to live it. I’ve made a lot of money mistakes when I was 22. I wish I knew all of the money tips back then. So pay attention. This stuff actually works. 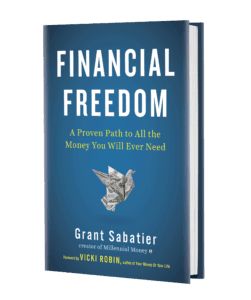 And if you want to go deeper, check out my favorite money books or sign-up for the Millennial Money course, where we cover literally everything you need to know about money. For another perspective, here’s a Millennial Money podcast on money advice for new college grads. 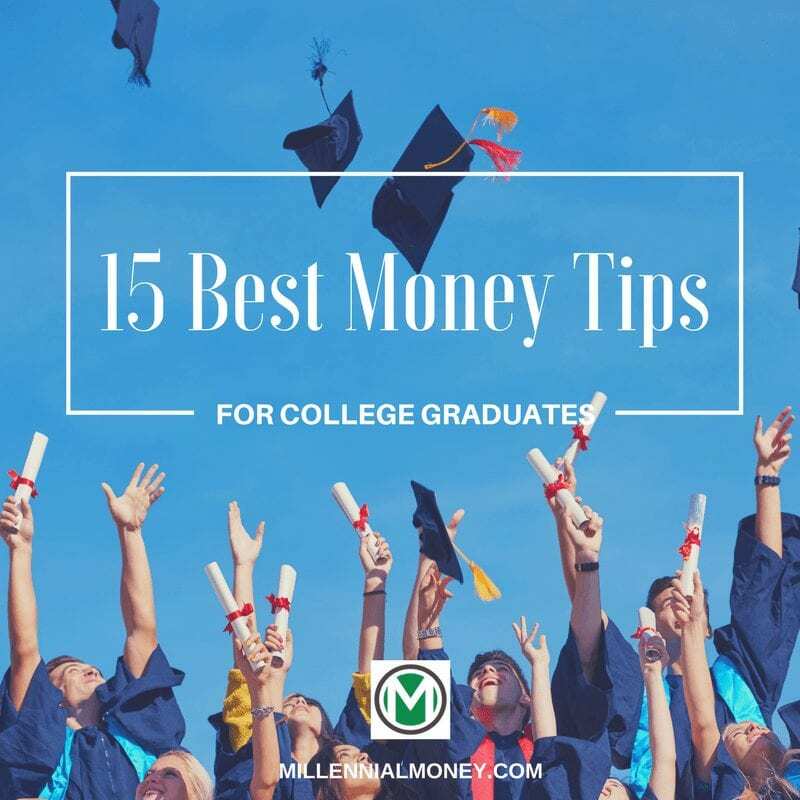 I also had a video chat with Expedia on the “Essential Money Tips for College Grads,” which you might dig in this post. 1. Save at least 20%-25% of your paycheck, and then blow the rest having as much fun as you can. Seriously, while it’s important to save as much money as possible if you can hit that 20-25% mark you will be golden. 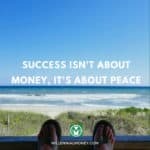 You can spend guilt-free knowing that you are saving more than 99% of people and getting a massive head start on building wealth. Try to escape living paycheck to paycheck as quickly as possible. For more info here’s a deeper dive into how much money you should save. 2. Start tracking your money & investments in one place, even if you don’t have much money. Sign up for Personal Capital, the Free net-worth tracker that I use, so you can track you savings, account balances, and investing performance. I only use the free version and it’s my favorite personal finance app. It also has a lot more features than Mint and is update with new features all the time. Tracking your savings and investment returns consistently will motivate you to save more. 3. Build better money habits. Here are the 51 best money habits that I personally used to build wealth starting at age 24. It only takes 30 days to build a habit. Small, simple changes, will lead to massive gains over time. 4. Don’t wait for the perfect job, it probably won’t come quickly, if at all. Too many people wait on the sideline for their big break. Instead get in the game, create, networking, and get a job as close, or as near, as possible to the one you want. So, for example, if you want to be a screenwriter, start writing as much as you can and get a job at an agency or studio. If you can’t get a job at an agency, get a part-time job at a restaurant where screenwriters are known to hang out. Move to the city where the job is you want and start making connections. A vast majority of life’s opportunities come through personal connections, not applying to a job posting you found online. Most job searches are rigged, so find a way to get in the side door. 5. Take risks. Seriously, too many 22 years are too conservative today. Don’t be afraid to make mistakes. It’s how you’ll learn and grow. Most people have a least a few jobs before they find their perfect career and your perfect job is probably something you haven’t even figured out yet. I had two jobs before I found digital marketing, became an entrepreneur and started really doing what I love. Don’t feel pressure. As long as you are learning, growing, and hustling you will make it happen. 6. Minimize your biggest expenses (housing, eating, and commuting). Do everything you can to live rent free and you might even be able to afford to buy a lot cheaper than renting. Definitely, check out house hacking and figure out whether you should rent or buy. Housing expenses will likely always be your biggest expenses so do everything you can to reduce or eliminate it and invest the difference. Another big expense is food, here are some ideas on how to save money eating out. The third biggest expenses are typically commuting, so here’s how to save money on commuting costs. 7. Start investing, even if you have student loans. A lot of people fear investing or think they have to wait until they have paid down their debt to invest. 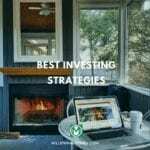 This is a myth and in fact, check out my investing strategy that anyone can follow and is the one I used to increase my assets from $2.26 to $1 million in 5 years. You have time on your side. Start investing. Time is the biggest investing advantage of all. Use it. Don’t wait until “the future when you are making more money,” because if you start investing at 30 you will need to save at least 2-5x to build the same amount of wealth as if you started at 22. DO IT! 8. Put as much into your 401k as possible, beyond just the employee match. Definitely, make sure you contribute enough to get your employer match if you have one (typically 3-6%) since it’s free money. But a lot of people make the mistake of stopping at the employer match. Contribute as much as you can. It’s important to remember that your 401k contributions are deducted from your taxable income, so you only pay tax on the money and interest when you take the money out (long into the future! ), not when you put it in. If you have the option of a Roth 401k do it! 9. Set-up a Roth IRA (individual retirement account) at a company like Vanguard or Betterment and start making contributions. You can invest in almost anything in a Roth IRA (it’s just a holder of investments), but I recommend that you put long-term investments in an index fund like the Vanguard Total Stock Market Index Fund ETF. You can contribute up to $5,500 per year and your investments will grow tax-free. You can also use your Roth IRA as an emergency fund because you can always remove the money that you put in at any time. 10. Keep Learning New Skills – Just because you are done with school doesn’t mean the learning stops. If you want to really make more money, the learning is just beginning. Book smarts + Street Smarts + Skills = $$ Learn as many of the skills that will be most in-demand in the future as you can. Opportunities are created through connections and selling the skills you have. It’s never been easier in history to learn almost anything for free online. Take advantage and learn at least 2 new skills each month. Don’t get stuck in a rut and no, you don’t need to go back to school to learn the skills required to get many jobs. Focus your time on both learning AND doing. When you learn through experience you can learn at least twice as much twice as fast. 11. Figure out how much you owe on your student loans and evaluate the benefits of consolidating and/or refinancing your student loans. So many people with student loan debt have really high-interest rates and you can save a ton of money simply refinancing your student loans for free. First, check out how much money you owe and what your interest rates are on the Federal Student Loan Website (don’t be scared, it’s better to know where you stand.) Then check out LendKey or Credible for the lowest student loan refinance rates. You can save tens of thousands of dollars with a few simple clicks. 12. Start paying off your student loans and pay down credit card debt as soon as you can – the longer you defer the more excuses you will make and not pay them off. Pay down your highest interest rate first. 13. Find a side hustle and diversify your income streams as soon as you can. In my opinion, too many people think that a full-time job is enough and that it’s too difficult to side hustle. Here are the best sides hustles that I’ve found and done myself. I’m a big believer in side-hustling to invest and build skills, not simply make extra money. The key with side hustling is the future value of money you are earning, while young, is so high. So every dollar you make side hustling today, invested conservatively, can be worth $5-10 dollars in the future. Also, when you diversity your income streams, you make more money and diversify your risk, so if you lose one income stream you can rely on others. 14. Start a blog and build your brand. Having a platform, even if you only write a few times a month, can open up tremendous money-making and personal growth opportunities. Sharing your story is incredibly powerful and you will grow from the experience. Trust me, blogging is legit. You’ll learn a ton of valuable skills and reflect during the process. Self-awareness is essential to building wealth and writing down your ideas and thoughts regularly will help you grow. 15. Make sure you chill as hard as you hustle. Last, but definitely not least, while I’m a big believer in hustling hard while you are young since the investment of your time, connections AND money will all compound over your lifetime, make sure you chill out too. It’s never been easier to burn out. I see 25 years old burnt out all the time. I used to be one of them. Take a deep breath. Disconnect. Meditate. Do yoga. Be still. Your energy isn’t infinite. Take time to recover. I wish you nothing but the best with your money and your life. Hit me up if you have any questions. If you read this post you’re already ahead. Enjoy the journey. Excellent, just excellent. I WISH someone had given me a list like this when I graduated. I cannot say that I for sure would have followed all of it, but it would have made a HUGE difference. You never get time back, so you can’t go back and do it later, start on this list today! Thanks Grant, why didn’t you have this out 25 years ago though? Awesome podcast with some great knowledge for new graduates. Being a continuing learner is huge. Literally, fall in love with learning AFTER college. I also really enjoyed that you both mentioned the fact about the first 1-2 jobs you get out of school do not have to be your career. I switched jobs 3-4 times until I found what I really enjoy. It’s important to not settle during your early years in life. #12 is something I would definitely recommend. Get rid of that debt. It’s only going to cost you more the longer you wait to pay it off. You will regret still having it years later when you want to buy a house or realize you want to retire earlier than everyone else. Plus, it frees you up for things like #1 and #8. Some excellent tips in this artice! I really like points 4 and 5, I think too many people are afraid to take risks, and also continue with learning as it opens up more opportunities for you. It’s unfortunate that “save part of your paycheck” is considered a tip nowadays and isn’t just some sort of common sense ingrained in us from childhood (as it should be). Apparently nowadays most peoples’ “monetary philosophy” is “if there’s money left over after you paid the bills, why not spend it?”. It blew my mind when I heard someone say that more or less verbatim. It’s unfortunate how many people really need to heed tip #1, which seems like common sense to me. So many people live by the philosophy of “spend it if ya got it”.